I occasionally receive emails from sisters who are starting businesses, producing shows or in need of support for various projects. This will be the first "Classy Black Ladies on the Move" post updating you on a few things going on in black lady land that you might be interested in! Locs of Love. 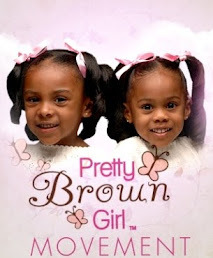 Dr. Yaba Blay of Philadelphia put this eBook together to encourage little Tiana, the young black girl who was kicked out of school for wearing her hair in a natural style. The response from hundreds of black ladies was overwhelming and moving to no end. Tiana's story reached across the country and caused that biased school policy to be abolished. WE ARE POWERFUL. Click here to read it. Ladies Night Late Nite Talk Show. A group of 4 black ladies sit down to talk about various issues in the news, from entertainment to politics. Recent guests include Dr. Robin Boylorn of the Crunk Feminist Collective and singer Algebra Blesset. Click here to watch. Ester Nicholson Releases New Book. She is a domestic violence survivor, author, teacher, speaker, musician, and entrepreneur. Her new book Soul Recovery - 12 Keys to Healing Addiction is now available at Amazon. Google Hangout with Lisa Nichols. One of classy black lady role models Lisa Nichols recently hosted a Google Hangout talk with a few other sisters including Brandy, Ledisi and Niecy Nash. They discussed loving yourself and achieving true freedom in life. Click here to watch. Tackle Girls Documentary. I caught a glimpse of a very beautiful and articulate black lady named Adrienne Smith doing an interview on a morning talk show, discussing her love of tackle football. She is a part of a new documentary on women in football called Tackle Girls. Click here to learn more.